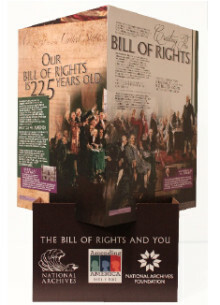 Spotlighting one of the most remarkable periods in American history, “The Bill of Rights and You” is a national initiative celebrating the 225th anniversary of the Bill of Rights. The National Archives, in collaboration with the Federation of State Humanities Councils, made copies of this exhibit free of charge to libraries, museums and schools throughout the nation. A total of 186 sites responded to Humanities Nebraska’s invitation to receive a copy of the exhibit, a number higher than any other state. 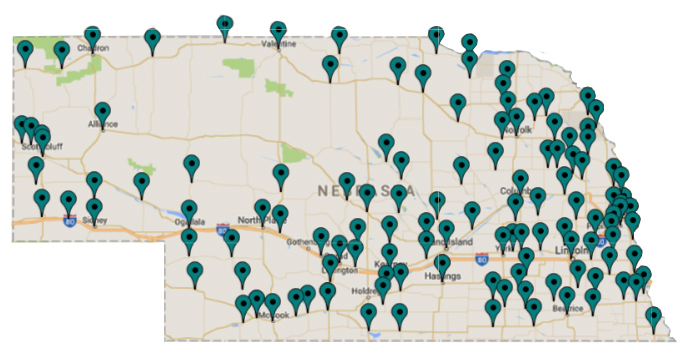 A full list of Nebraska’s host sites follows.